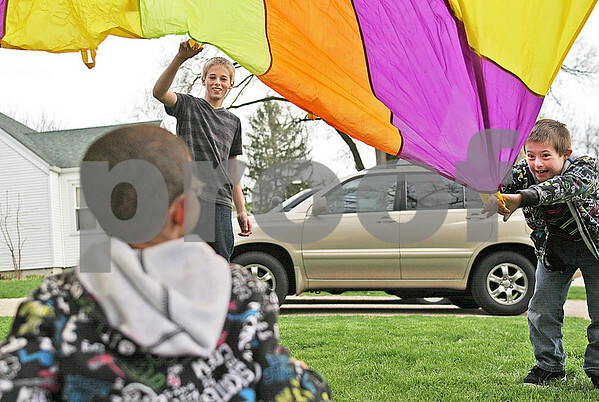 Alex Scott, 14, and David Scott, 8, play parachute with their foster brother, who can not be named, in the front yard of their adopted family's home in DeKalb on Friday, May 3, 2013. Roger and Marcia Scott have fostered more than 40 children since 1985. Of those children, the Scotts have adopted five.